For most of my life, I have been drawn to the idea of “adventure.” Not every adventure has to be a crazy once-in-a-lifetime experience, but at the risk of sounding like a children’s TV show, every day can be an adventure in its own way. This blog is based on that concept. Primarily, I’ll be talking about books – the adventures found within their pages, my impressions of them, and why so many of us love to read. But since it’s my blog, I also reserve the right to talk about recipes I’m making, magazines I’m enjoying, trips I’m taking, history I’m nerding out about, and my life. Post #2 is on the way…. hope to see you back here soon! I saw this book somewhere. Being a librarian, I read journals and catalogs and newsletters and blogs and websites that all suggest books for me to read/buy. It could have been one of those places. In fact, it probably was. Once I checked it out, I was stunned – I repeat STUNNED – by the glory of this cover. Admittedly, I had this book in my apartment for 2 weeks before picking it up to read it and realizing the center of the design was a cat (you’re looking now, aren’t you? ), but still. Beautiful, striking cover. And as soon as I returned the book, it went to fill another hold, so someone else was as excited about it as I was. Anyway…. In the beginning, a woman named Maya is upset and drunk and stumbles out in front of a bus in London. The chapters then shift to Adrian. Maya was his third wife, after Susie and Caroline. 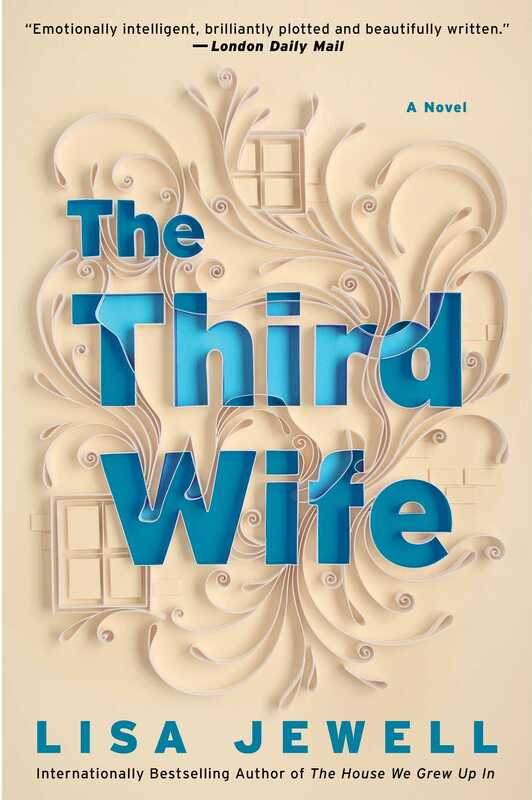 Adrian lives in an ideal world, where his three families (two of them involving children) coexist peacefully and vacation together, and he is not villainized for continually divorcing his wives and remarrying. After Maya’s death, Adrian decides he cannot stand sharing his apartment with her cat and attempts to find it a new home. A woman comes to meet the cat and accidentally leaves her phone between the cushions of Adrian’s sofa. The odd thing is, the only phone number in it belongs to him. As Adrian traces the origins of the phone and begins to suspect he has a stalker, secrets are revealed about his seemingly idyllic family life and what really happened to Maya. Twists and turns abound, and ultimately the person I suspected of the deepest involvement was relatively innocent. I love it when books keep me guessing until the end. This novel is a weird cross between regular fiction and suspense. While the mystery of Maya’s death and the struggle to understand the events that led to it form a mystery and the action is fast-paced, there was no point where I feared for the lives of other characters or thought someone was a psychopath (as I so often do when reading thrillers). So, just regular fiction then? Ok – there is only one book I can compare this to, and it is what many of my colleagues consider to be the best book of 2014. Liane Moriarty’s Big Little Lies. It had the same elements of family, friendship, mystery, and suspense throughout. Pretty please read this book. It was so good! Although I think there were some copy editing flaws. At some points peripheral characters knew information like names that hadn’t been shared with them in the conversation. I thought these were important to the mystery and noted them, but they never were. So just poor consistency perhaps, but if you can get past that, and trust me you can (just like you can get past and forgive this run-on sentence), you’ll thoroughly enjoy this book.